The North American Sculpture Center offers expert training in a variety of topics related to stone sculpture, both traditional and digital approaches, and tailored to a range of skill levels. The skills and methodologies that we teach include manual techniques that have been developed specifically for stone over millennia, as well as cutting-edge digital technologies. The pedagogical program at the NASC is committed to diversifying the toolbox and technical arsenal of the sculptor, by preserving tried-and-true traditional skills, as well as advancing the historical evolution of sculpting instruments and methodologies. A face is the first thing we look at on a figurative sculpture, and carving a good portrait has always been one of the most coveted—and challenging—skills. Click here for course details. Novices and seasoned sculptors alike can benefit from this class, honing their chisel control under expert guidance. Click here for course details. Are machines mere assistants to the hand, or can they become finishing tools in their own right? 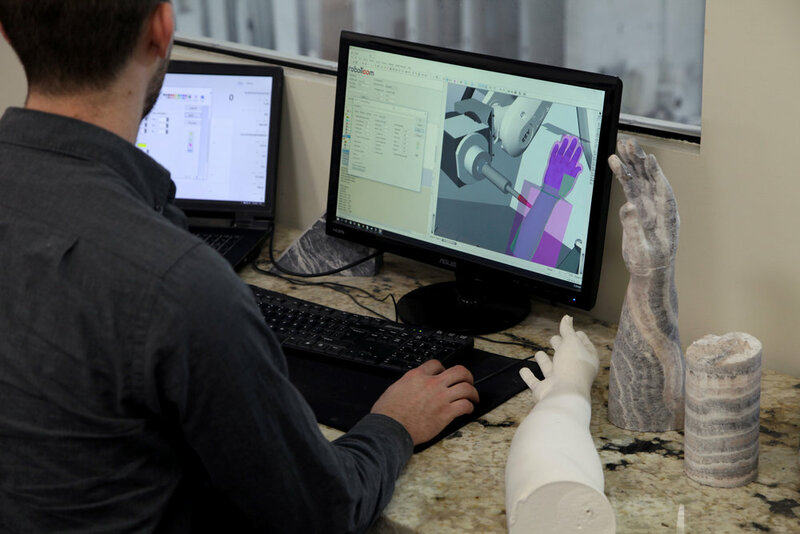 Learn to put your fingerprint in stone using digital software and cutting-edge robotic CNC technology in this 2-day workshop. Click here for course details.